In these pages, I have joined economists and others in arguing that the government should intervene to restrain the growth of increasing inequality–through more progressive taxes and other measures. Some of my Conservative friends have replied that I am overlooking the key point: Growth is the answer. We don’t need to do anything other than do what is necessary to grow faster, they argue. That will take care of the problem. This argument says that if we simply have stronger growth, we will have less poverty, less inequality, and/or at the least we will have everyone enjoying a better living–everyone moving up the ladder. Prescriptions start with less regulation, more open borders, more freedom for the private market to do its work, and less government. There is much to support this argument. One could cite China as an example–30 plus years of growth averaging about 10%, only recently declining to a still very healthy 7.5%, has resulted in poverty declining across this period from 65% of the Chinese population to less than 10%–1 billion people came out of poverty, defined as living below $1.25 per day. But, there were other factors involved: education and infrastructure were among the accompanying governmental “interventions” that China invested in during the 30 plus years of phenomenal growth and poverty reduction. As to infrastructure, China viewed it as both necessary for growth and a good way to stimulate the economy, especially when there was any sign of slowdown or disruption, as with the 1997 East Asian Crisis, during which China did not experience a recession, while all its neighbors did. In fact, China has done so much infrastructure development that some say they have built cities in which no one lives, and roads and bridges to nowhere. China builds infrastructure ahead of the need, wherever possible. It should not be necessary to cite studies to prove that infrastructure is critical to growth. One proof was found during the 90s, when developing debtor countries had IMF conditions imposed which were designed to stimulate growth in their economies. Mostly, growth did not happen and these policies failed. There were lots of reasons, some of which are outlined in an earlier post entitled “Basics of Global Trade.” One of the reasons was lack of infrastructure. No amount of open borders and reduced regulation can stimulate commerce if the country has poor roads on which to transport its goods, poor railroads, or inadequate port facilities to load those goods onto ships. Good airports are needed. Electricity, telephone and internet services are required. Clean water and sanitation must exist. Lin is arguing that there are stages of growth in the modern world, and government must work with industry to provide the critical infrastructure to best facilitate the continued advancement in development for each stage. For the primary and secondary sectors (raw materials and finished goods), still important to the US, roads, bridges, tunnels, and ports are critical. For the tertiary sector (services), airports, telephone and internet are important. For the quaternary and quinary sectors (intellectual activities, governance, culture, media, research, home activities and others), internet, communication, and information storage are critical. It shouldn’t be necessary to cite sources to show that we are falling behind in all these areas of infrastructure, but here are just two: (1) The American Society of Civil Engineers reports that congestion on our roads is costing $101 billion annually in lost time and fuel, and that we would need to double our annual expenditure of some $91 billion to improve our roads, which are deteriorating at the current expenditure level. They grade our US infrastrucuture as only D+. And (2) Ookla Speedtest reports that the US ranks 26th in the efficiency of its internet service. We’re behind Estonia and Bulgaria now. Hong Kong is #1, and you can bet China is investing to get to the top. (1) Better growth cannot happen without investment in infrastructure on a continuing basis to enable the US to stay the leading economic power in the world. We all agree that economic growth is necessary for poverty reduction. 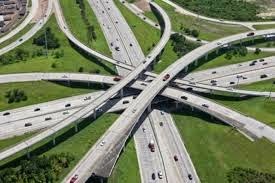 One would think that we could agree on the criticality of infrastructure–Liberals and Conservatives. So, why doesn’t it get approved? The best guess is that the Conservative side of the debate does not want to spend the money. But why? Is it because they are so opposed to something which would increase debt, and certainly would not favor tax increases to fund it? Is it because they are so opposed to anything that looks like stimulus–even if it is designed to fix our infrastructure as opposed to just creating jobs? There are times when we should put away the Keynes/Hayek debates about demand or supply side economics and just do the right thing–get our infrastructure back on top! (2) Also, let’s not forget that there is good growth and bad growth. Just plain unrestrained economic growth will not necessarily result in a societal outcome satisfactory to the people. Return to China for a moment. Yu Xie and Zhang Zhou of the University of Michigan believe China’s Gini coefficient, the common measure on inequality, may now be as high as .55, compared to the US also very high Gini of .45. China’s measure in 1980 was a low .30, reflecting a very egalitarian country. But at today’s level, China is among the most unequal countries in the world. So, while the economic growth has been consistently strong, inequality has risen sharply, and the World Bank now regards the still significant poverty in China as unresponsive to current growth, needing specific government intervention to deal with it. China, unlike the US, is not prejudiced against government vs. the private sector. Government intervenes a lot, so now we’ll see whether their government can fix inequality and other challenges China faces. Recognizing there is heated debate about permitting any government intervention to restrain inequality, this posting is intended to simply ask that we set all that aside for now and agree that we MUST fix our infrastructure. Having spent my career in the private sector, with great respect for the amazing power and contribution of that sector, I now fight for a greater recognition that government and industry work together. Just continuing to starve government is not going to benefit the people or even the private sector, in the long run. How about using our private sector prowess and learnings to make our public sector more efficient? I really don’t think that’s beyond the capacities of our talented Conservative leaders. Other countries have managed to attract private industry leaders into government–why can’t we?